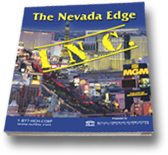 A LITTLE ABOUT CORT CHRISTIE, FOUNDER OF NEVADA CORPORATE HEADQUARTERS, INC.
Cort Christie's New Book "The Nevada Edge" UPDATED. Get it Today! For more than 15 years, Cort Christie has been helping entrepreneurs find their path in the business world. For more than 15 years, Cort Christie has been helping entrepreneurs find their path in the business world. Cort Christie believes that all people should follow their dreams and develop a plan that will not only reward them upon completion but a route map that is also fun and enjoyable to travel. Cort Christie has been an advocate of small business owners and entrepreneurs. He continues to fight for lesser taxes and business privacy nationwide. Cort Christie was born and raised in a small northern Minnesota town and is a proud husband and father. CORT W. CHRISTIE is the founder of Nevada Corporate Headquarters, Inc., the premier business formation and consulting firm in Las Vegas. A national expert on entrepreneurship, Cort has an extensive background in the financial services and business consulting industries. He has distinguished himself as a nationally recognized speaker and has appeared as a featured guest on some of the largest radio shows across the country. He has also hosted his own radio program in San Diego and Las Vegas television appearances include cable networks MSNBC and CNBC. Cort W. Christie is the founder of Nevada Corporate Headquarters Incorporated - the premier business formation and consulting firm in LV, Nevada. Cort Christie is a national expert on entrepreneurship. 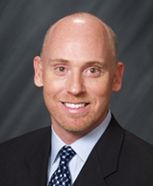 Cort Christie has authored the best selling book, “Incorporating in Nevada”. Cort Christie has an extensive background in the financial services and business consulting industries. Cort Christie has distinguished himself as a nationally recognized speaker appearing as a guest on some of the largest radio shows across the country. Cort Christie has hosted his own radio program in the San Diego and Las Vegas markets. Cort Christie has also made TV appearances on stations such as MSNBC and CNBC. Cort Christie has a BA in Finance from the University of Minnesota at Duluth. Cort Christie has an MBA from Pepperdine University. Cort Christie has served as President of the Las Vegas Chapter of the Young Entrepreneurs Organization. Cort Christie is a Board member of the Nevada Resident Agent Association. Cort Christie is a member of the Nevada Taxpayers’ Association. Cort Christie is a member of the Las Vegas Chamber of Commerce. Cort Christie is a member of the Nevada Development Authority. Cort Christie is a member of the Nevada Policy Research Institute. Cort Christie’s family’s business history started in 1901. Cort Christie grew up in family business. Cort Christie is a consultant to entrepreneurs. Cort Christie is the CEO of several companies. Cort Christie knows that the team at NCH can guide you through the intricacies of every corporate structure to help you find the entity that suits your unique circumstances. There is no right or wrong choice, as everyone has different priorities, but you must be certain that the entity you choose provides the maximum tax and asset protection benefits available to you. The most dynamic and flexible business entity is the corporation. Offering tremendous advantages that generally outweigh all other business structures, the corporation is the most commonly used structure in business today. A corporation is a legal “entity” created separately from those who own and operate it. Like an ‘artificial person’ the entity separates a corporation's debts and taxes from its owners (shareholders) thereby offering the greatest personal liability protection of all business structures. Plus, because the corporation continues to exist even after the death of a shareholder, it offers tremendous estate planning advantages. NCH does everything you need to form your corporation within 24 hours. Our corporate record book is one of the most complete, thorough and informative books available on the market today. You’ll receive a personalized corporate record book complete with your name plate, seal and stock certificates. Your corporate charter, annual meeting minutes, articles of incorporation, resolutions, tax ID application and sample forms are all included in this book. A hybrid entity that combines the pass through attributes of a partnership with the corporate characteristics of limited liability. It passes all of the profits and losses directly to the individual members (i.e., owners) of the LLC who are therefore taxed at their personal tax rates. Members’ personal assets are protected against any business claims because the LLC separates the members from the business itself, so there is no personal liability for LLC debts. The structure can be used to hold property and transact any type of business. is a legal, formally established business entity that can be the owner of life insurance, family vacation property or most other assets. A limited partnership consists of general partnership interests and limited partnership interests. An FLP is typically structured with the general partnership portion holding less than 5% of the total value of the assets of the partnership, with the limited partnership holding the balance. Partnerships are very flexible and generally have many additional tax benefits compared to other entity structures. NCH will file all the paperwork for you through our independent law firm that will create your agreement. is an entity that combines the liability and protection benefits of incorporating with the pass-through taxation benefits of partnerships. At least two people are required to form a limited partnership – one is named a general partner and one a limited partner. In Nevada we now have limited liability limited partnerships. The limited liability clause has limited consequences to the partners. NCH will file all the paperwork for you through our independent law firm that will create your agreement.